Construction at Chess Mates in Rahway has finally been completed but the club will not open tomorrow. Arthur Macaspac is awaiting his certificate of occupancy from the city and hopes to receive it later this week. A story on Arthur Macaspac's victory at the 2010 All-Army Championship appeared in last Thursday's Fort Gordon Signal. NM Mark Kernighan won the Irving Ellner Memorial Swiss held at the Kenilworth Chess Club from May 6th-20th, duplicating his 2008 and 2009 victories. Ken Chieu, Greg Tomkovich and Ted Mann tied for 2nd place. The latter won the U1600 prize. Arthur Macaspac is the 2010 All-Army Champion. He won his final game to finish with 9.0/11 9.5/11 and surpass leader Pieta Garrett, who suffered an upset loss. Tactical blunders were responsible for both results as Arthur took advantage of his foe's 20.Rb1?? and Garrett's 22...Rxg3?? threw a share of 1st place away. PGN files revised 5/23 @ 12:05 p.m. Please re-download. KCC Champ Arthur Macaspac won both of his games today but still trails by top-seed Pieta Garrett by a half-point with 1 round to go. Garrett's remaining contest is against 9th-placed Larry Cox. Correction - Entering the final round, Macaspac was tied for 1st. Arthur Macaspac defeated Day 3 leader Rockhill in Round 7 and apparently won in Round 8 (unless there was a cell-phone forfeit Monroi has that result wrong) to move within a half-point of the 1st place. Pieta Garrett and Jhonel Baniel are now atop the standings with 6.5. Correction - After the 8th round, Arthur was in a 3-way-tie for 1st. Arthur Macaspac won in round 5 and, in another Monroi mystery, somehow drew a dead-lost position in round 6. He is still 1 point off the pace but now stands 4th. Correction - After 6 rounds Arthur was tied for 2nd, a half-point behind. According to Monroi.com, Arthur Macaspac scored 1.5/2 yesterday and is now tied for 3rd place, a full point behind leader Nathaniel Rockhill and a half-point in back of Jhonel Baniel. 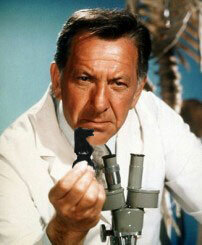 Correction - As suspected, Monroi had Arthur's round 4 result wrong! He won and ended the day tied for 2nd. I could be wrong but shouldn't 4 & 5 be Shiffman-Agress & Sturniolo-Mazzillo? Kenilworth Chess Club Champion Arthur Macaspac opened the 2010 All-Army Championship with a win but lost his 2nd game. So, at the end of day 1, he is tied for 5th place, a half-point out of 1st. The 11-round event, which is being played at Fort Myer in Arlington, Virginia, runs through Friday. Gordon Agress could not play and received a half-point bye. Colby Chen filled-in. The 2010 U.S. Championship gets underway today at 3 p.m. EDT. Defending Champion Hikaru Nakamura heads a 24-player field that includes 21 Grandmasters & 3 IMs. The Internet Chess Club will provide live coverage, along with Monroi and Playchess. 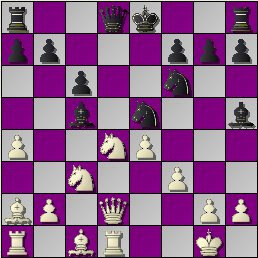 As you may recall, I recently expressed a desire to re-enter the correspondence chess arena (see post 646) but could not find a suitable event (see post 655). Well, I have since volunteered to represent the USA in a future International match and may also join the 19th U.S. Championship Preliminaries! For information on the latter, visit the ICCF-US web site. My PGN Archive for 2010 has been updated. Sorry for the delay in adding the Consultation, Ellner & deciding WC games. World Champion Viswanathan Anand retained his title by defeating challenger Veselin Topalov in today's 12th game. Topalov opened with a Queen's Gambit and Anand, eschewing the Slav he used 3x in the match, varied with Lasker's Defense. 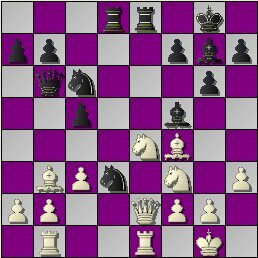 Play followed a correspondence game until Black's 21st move and was balanced through move 30. But Topalov's 31.exf5 was a mistake and his 32.fxe4 was a blunder. Full story at The Daily Dirt, The Chess Mind, & ChessBase. Mark Kernighan (2245), David Pawlowski (1786), Greg Tomkovich (1681), Mike Wojcio (1600) & Ted Mann (1485) lead the 3rd Irving Ellner Memorial Swiss after 1 round of play. Ted's win came in a double Rook ending against 2193-rated Ken Chieu, who recently defeated IM Dean Ippolito & drew a GM. The 708-point upset may well be the biggest in Kenilworth CC history! I have posted a fully annotated version of last month's Kenilworth Consultation Game in Java-replay & PGN. 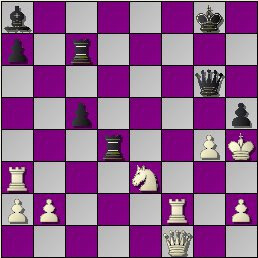 A couple of weeks ago, just before the Anand-Toplaov match (now tied 5-5) began, I came across & downloaded a free chess engine, Firebird 1.2, that rivals Deep Rybka 3 in strength but may be a fishy knock-off. Firebird 1.2 is a "Deep" engine, able to use more than 1 processor. It calculates considerably faster (30% or more) than Deep Rybka 3; which is a big plus when you are reviewing & annotating games. Firebird loads effortlessly in ChessBase 10 whereas Rybka sometimes fails to. The 2 engines recommended the same move just 43x out of 59 in the 1 game I tested (Tomkovich-Moldovan : GSCL 2010) & had differing evaluations + lines or play. Register : At site on 5/6 from 8:00-8:30 p.m. The new (temporary?) URL for Michael Goeller's Kenilworthian is http://kenilworthian.blogspot.com. Please visit the blog & bookmark. A move to WordPress is expected at some point.